A Massachusetts Living Will is not recognized in the state of Massachusetts as a legal document. 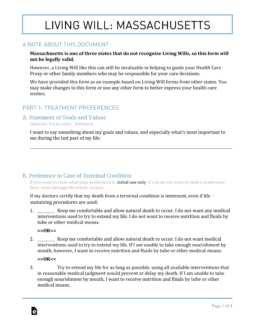 The state does believe, however, that this type of document would be very helpful for anyone who may be your Attorney in Fact or agent, to whom you entrust your medical care when you are no longer able to make your own decisions. Medical Power of Attorney – Also known as a health care proxy, allows an individual to select a surrogate to make decisions on someone else’s behalf in reference to their medical needs. 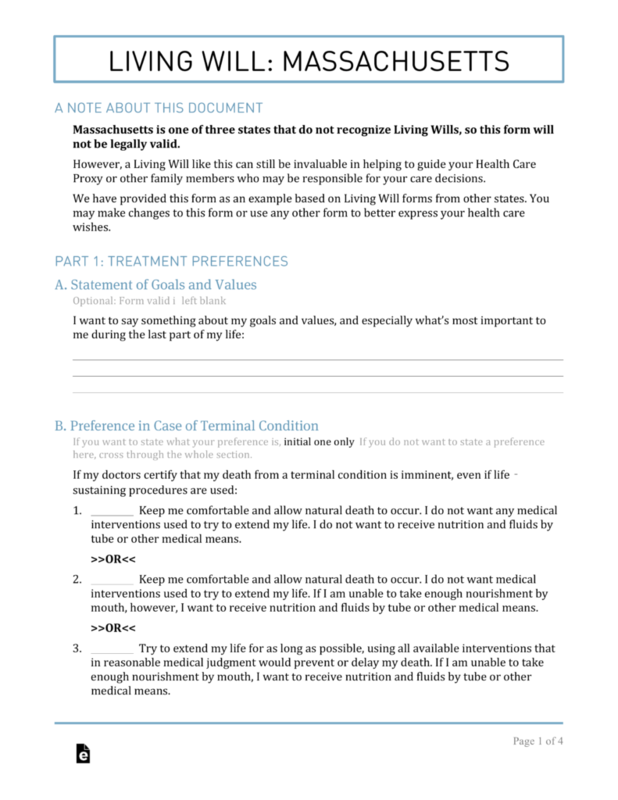 The Principal should carefully review the three available options with regard to what they would like their medical team to do in and end of life scenario.